After seeing success last spring, summer and even now with their street-certified hit “Lifestyle,” Rich Gang is back with an all new mixtape series. 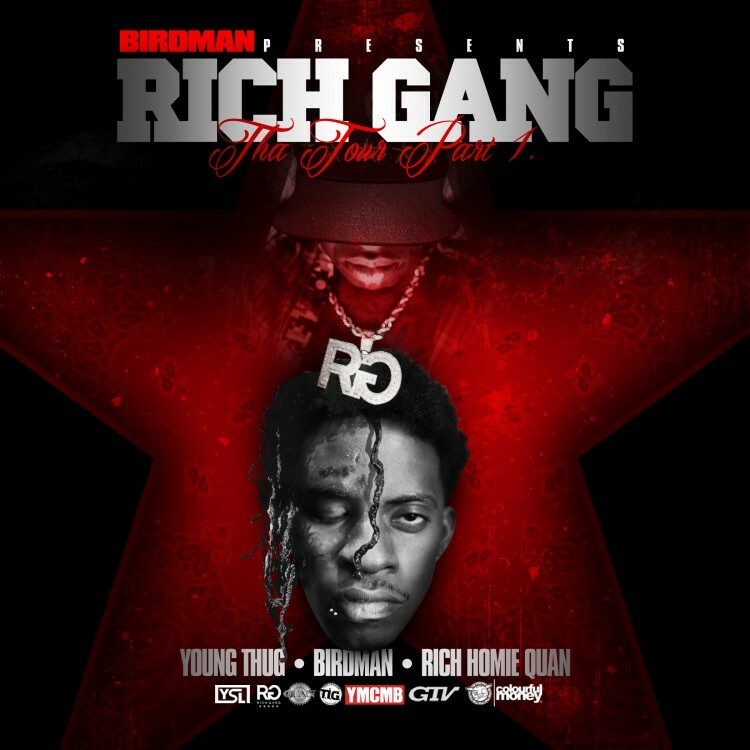 Led by Birdman, he welcomes the next generation of the YMCMB Empire with Young Thug and Rich Homie Quan joining him for the new mixtape, Rich Gang: The Tour, Part 1. With the exception of the previously mentioned artist, the new 20-track project has zero features – giving listeners and long-time fans of teaser of what Beatrice has been teasing for the future in recent days.